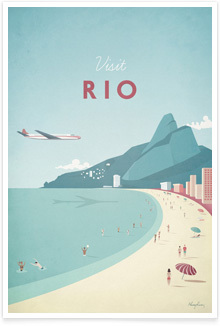 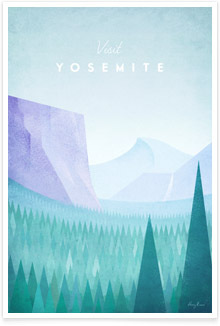 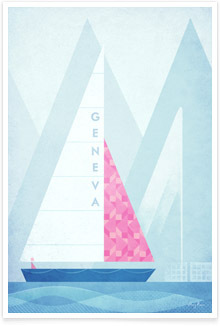 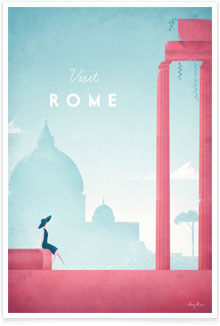 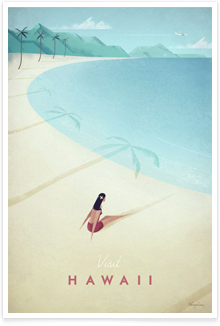 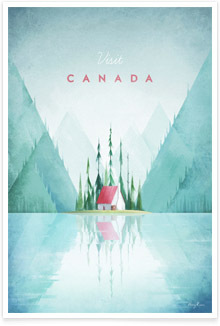 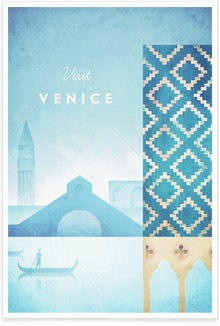 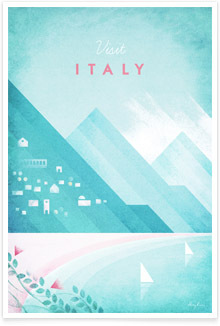 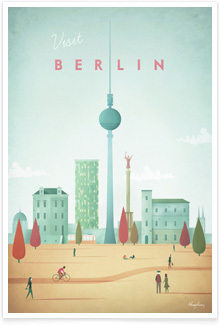 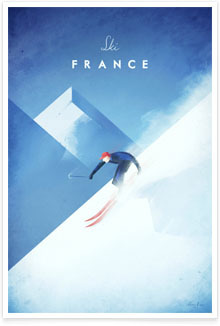 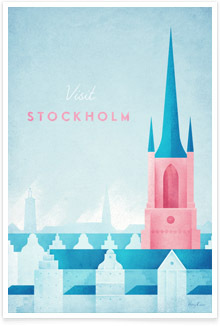 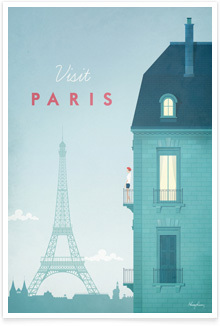 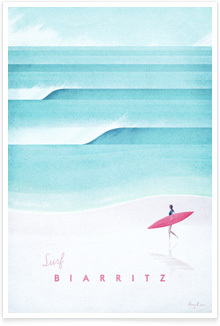 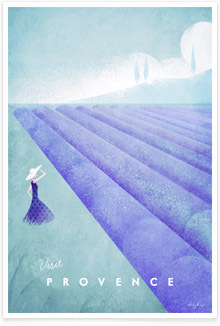 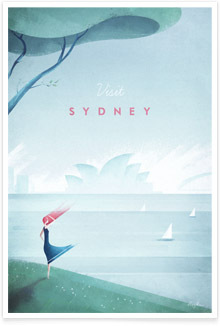 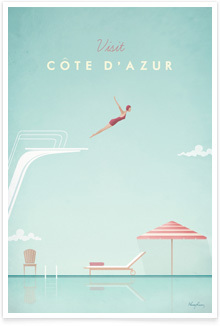 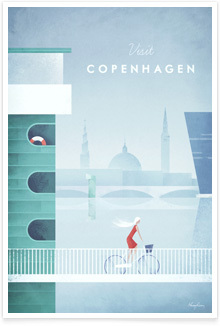 Vintage Travel Posters | TRAVEL POSTER Co.
How are our vintage travel posters created? 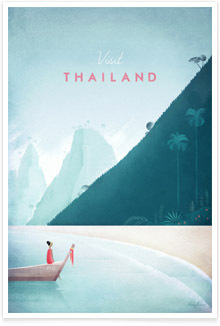 Our vintage travel posters are digital artworks, however the design process is done mostly by hand. 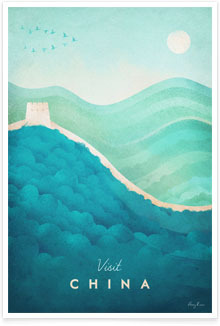 The artworks begin as a series of little sketches in pen. 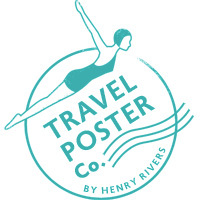 Each element of the travel poster is refined and experimented with in separate sketches until the full layout is more or less finalised. 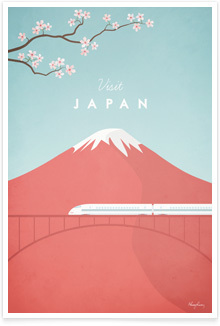 At this stage the vintage travel posters is redrawn completely using digital software with a pen tablet. 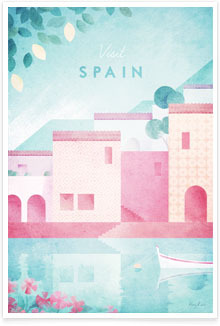 First the basic shapes are drawn, then layers of texture and details are added. 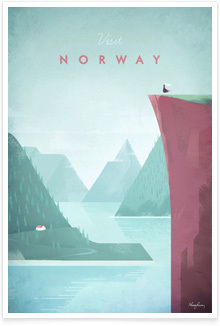 The last stage is fine tuning the colours. 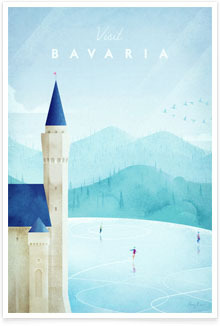 The final result is a super sharp digital design that retains the spirit of the original sketch. 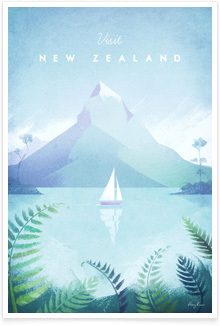 What’s different about our vintage travel posters? 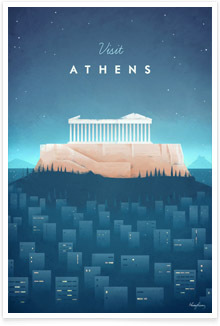 In each design you’ll find there there is a playful relationship between massive landmark and much smaller details and characters that animate the designs. 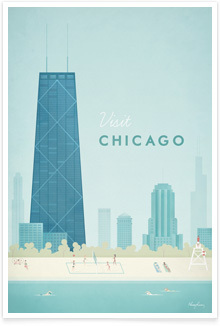 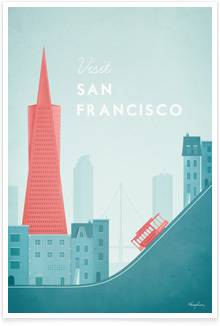 These playful details add life to the vintage travel posters and help to give them a vintage feel. 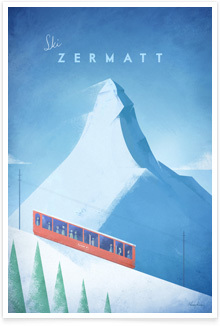 In addition to this, each poster has it’s own unique perspective, different from classic posters, and postcards. 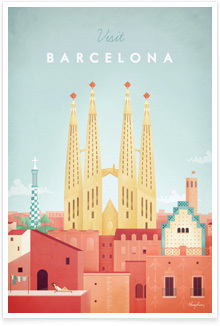 The perspective offer lets a lesser known landmark take centre stage, with the famous sights of the city referenced in the background. 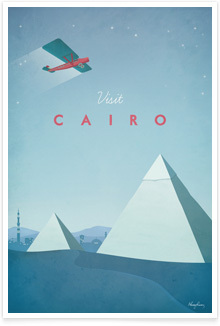 Why choose us for your vintage travel poster? 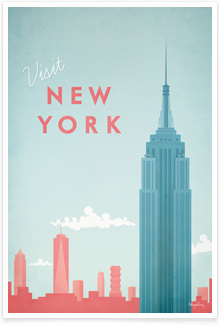 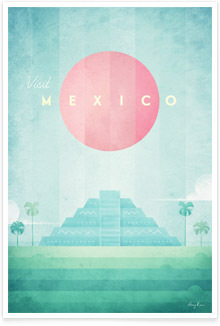 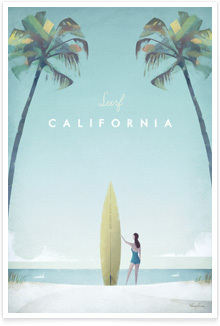 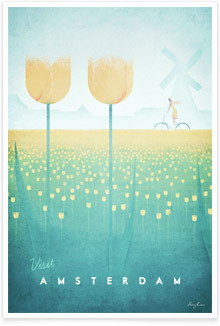 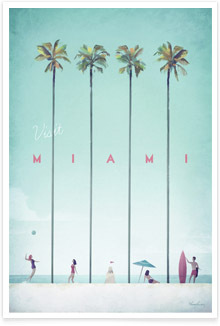 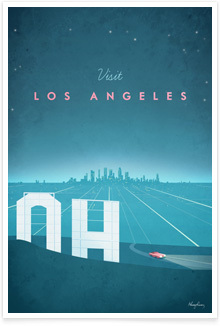 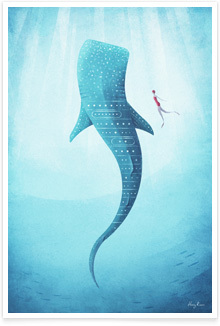 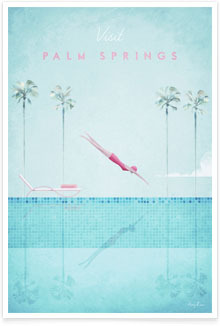 At Travel Poster Co. we work with United States based print specialist Society6. 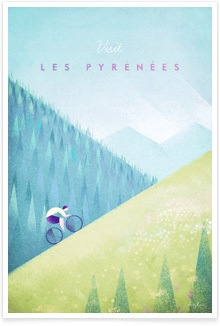 All our designs are available as premium quality artworks in a range of sizes and finishes. 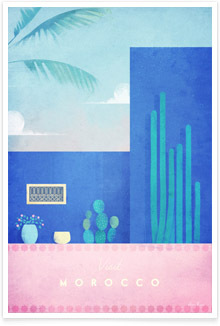 From mini prints so can prop up on your desk, right through to giant framed pieces which could be the focal point of a room. 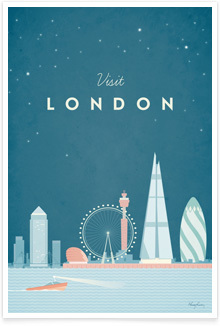 Our designs are a great way to remind yourself of the cities you love in a stylish way… a little different from your classic vintage reproduction.